CATU lockout tagout electrical safety equipment includes padlocks with warning signs, colour padlocks, multiple lockout devices and circuit breaker lockout devices for safe electrical isolation. CATU safety padlocks and warning signs - a wide range of brass lock-out padlocks in red, white, yellow, blue and green. 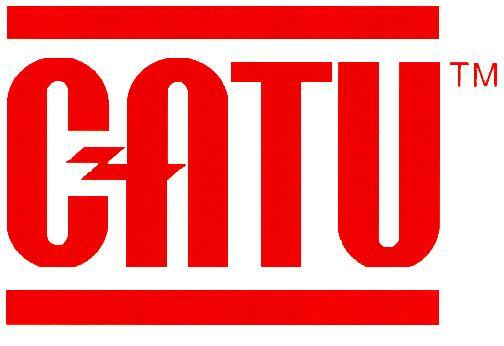 CATU lock-out tag-out padlocks are available for low voltage and high voltage substations. Irrespective of whether servicing or work involves an item of electrical installation or work equipment, a lockout must be done to ensure the safety of the workers. The purpose of locking is to separate cut off or neutralisation parts with a suitable, and sufficiently protected system to prevent any operation by unauthorised persons (switching on power for an electrical installation). Locking is generally accompanied by signs. For the electrical domain, setting up and removing the lockout are described in French and European standards (EN50110-1). More generally, the safety recommendations are included in Directive CE7: 2009/104/EC on the minimum health and safety recommendations for using work equipment.